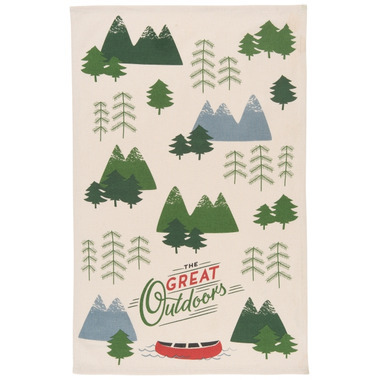 This Now Designs The Great Outdoors Print Tea Towel is 100% cotton and features a fun scenic print. My favourite tea towel. The cotton is perfect. Absorbs well and feels nice. Definitely great quality.